It is with great pleasure that share with you the #5 position my album ''Une porte s'ouvre'' was awarded for the 2018 Best Saskatchewan Album of the Year. I huge thank you to everyone who voted for my album. It means so much to me. Congratulations to Belle Plaine who was awarded the 1st position and to all the other artists who made it to the Top 10! 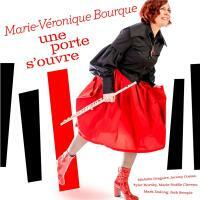 MV Bourque - flûtiste is a flutist who has been active on the music scene for more than 25 years. Boasting an impressive array of accolades including awards, education accomplishments and symphony gigs, Une porte s'ouvre (‘A door opens') is her debut album, produced by Tyler Hornby at OCL Studios, Calgary. Dedicated to French jazz, the album is composed of nine tracks - three original pieces mixed with an assortment of covers from artists such as Charles Aznavour, Serge Gainsbourg, Michel Legrand and Moe Koffman. The track “Excusez-Moi” (featuring Marie-Noëlle Claveau on vocals), was written in collaboration with Michelle Gregoire, and was a Semi-Finalist in the 2018 Canadian Songwriting Competition. Marie-Véronique calls on some heavy hitters to accompany her flawless flute playing on the album, incredible musicians from Calgary, Regina and Quebec: Michelle Grégoire (piano), Jeremy Coates (double bass), Tyler Hornby (drums), Jack Semple (electric guitar), Mark DeJong (tenor sax), Marie-Noëlle Claveau (voice). This instrumental album is a treat to listen to from beginning to end, and is a welcome addition to the versatile musician's experiences with classical, Baroque, folk, world, traditional French, cabaret and blues stylings. With such a wide array of instrumental capabilities and stylistic elements, we can't wait to see what she does next. 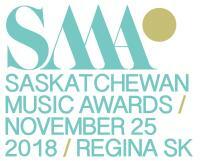 I am very thankful to have been nominated for the 2018 Saskatchewan Music Award in the category Avant Garde / Experimental Artist of the Year. Congratulations to Respectfulchild who won the Award in this category and to all other Awards winners. I am very happy to share the new release of my first Jazz album! Marie-Véronique started studying music at the age of 4. First on violin, then on piano, she discovered the flute at the age of 8. At the age of 11, Marie-Véronique auditioned and was accepted at the Quebec Conservatory of Music where she studied with Barbara Todd-Simard and later on with Jean MORIN. She was awarded First Prize in both, Flute and Chamber Music, from this institution. As an active musician in Quebec City, Marie-Véronique performed as a soloist with different orchestras. She was a member of the Gilles Auger Chamber Orchestra and previously was part of the Quebec Youth Orchestra in residence at the Orford Centre of the Arts and the Orchestre des Conservatoires which toured the Province of Quebec. Marie-Véronique also had numerous flute students throughout the years in private and group settings, teaching in different schools in Quebec City.Marie-Véronique was awarded the Musician's Prize following the Orchestre Symphonique de Quebec's Competition. She was one of the laureates of the CITF-FM radio station music competition and was National finalist from the Concours de musique du Canada. After winning her first professional audition, Marie-Véronique joined the Royal Canadian Mounted Police (RCMP) Band stationed in Ottawa, Ontario, in 1992. After the disbanding of the band in 1993, Marie-Véronique decided to follow her musical career while becoming a full time RCMP officer. She worked in detachment, in the Custom & Excise Section, as a Media spokesperson, as a member of the Drug Awareness Service and on the Clandestine Laboratory Investigative Team (Drug Section). During the same years, Marie-Véronique became known for her unique interpretation of our National Anthem on piccolo which she performed in Canada and Europe for different venues and ceremonies. In 2006, she was selected to become an instructor at the RCMP Academy and accepted a transfer to Regina, Saskatchewan.In 2007, Marie-Véronique auditioned for the Regina Symphony Orchestra and won a position as flute utility. At the same time she joined the Quarter Tones Flute Ensemble formed of Tara Semple, Linda Lucyk and David Popoff. Together they commissioned various works from Canadian Composers and were invited to perform during the Break Out West in Calgary in 2012. They were also invited for a residency at the Banff Center of the Arts and launched their first album COMBINE in June 2015. In 2014, Marie-Véronique also joined the Per Sonatori Baroque Ensemble based in Regina. Marie-Véronique is a versatile musician who can adapt to different cultural styles. For the past several years, she has been an active musician within the Fransaskoise Community. She also performed and recorded with the Free Range group specialized in World Music on different types of flutes.During the 2012 Mosaic Festival in Regina, Marie-Véronique was invited by a well known Saskatchewan jazz pianist, Maurice Drouin, to join him on stage. With him, Marie-Véronique learned some of the Cabaret repertoire and jazz standards. She was also strongly encouraged to continue developing her natural ability in jazz. Marie-Véronique followed Maurice's advice and was awarded a bursary to attend the Carlson University Jazz Camp in 2014, where she had the opportunity to study with Dave Young, Elise Letourneau and other great jazz musicians. In 2015, Marie-Véronique joined the jazz group The Project. The following spring, she founded her own group, MV & Co, which allows her to feature some great French Jazz repertoire and play with the best musicians in local jazz venues and during the Regina Jazz Festival. During the summer 2016, Marie-Véronique continued her Professional Development in France by attending the Dordogne International Jazz Summer School and taking part in jam sessions in the best jazz venues of Paris. In October, she performed as a member of the Caligari Orchestra in a live performance of The Cabinet of Dr. Caligari, presented for the first time with the music of composer Jason Cullimore at the Conexus Arts Centre, Regina. In December, she was featured in a live concert presented by the Regina Jazz Society. In February 2017, Marie-Véronique toured for the first time in Quebec where she performed in Montreal and Quebec City. In August, she attended the Ambrose University Jazz Camp.Last fall, Marie-Véronique toured in Switzerland and Paris where she received a warm welcome. In January 2018, she recorded her first jazz album which was released on October 19, 2018. The album is dedicated to French Jazz repertoire and includes some originals. One of these originals ''Excusez-moi'' , written in collaboration with Michelle Grégoire, was selected in semi-finals of the Canadian Songwriting Competition 2018!With her album, Marie-Véronique is one of the nominees for the 2018 Saskatchewan Music Awards in the category: Avant Garde/Experimental Artist of the Year.